Like, really, really love them. See, at On The Border, making delicious, authentic chips, salsas and queso is our passion. But let’s go back to the beginning. It all started with an amazing Tex-Mex dinner and some unforgettable margaritas at an On The Border Restaurant, when we thought—why not bring that same Border-style flavor into the home? 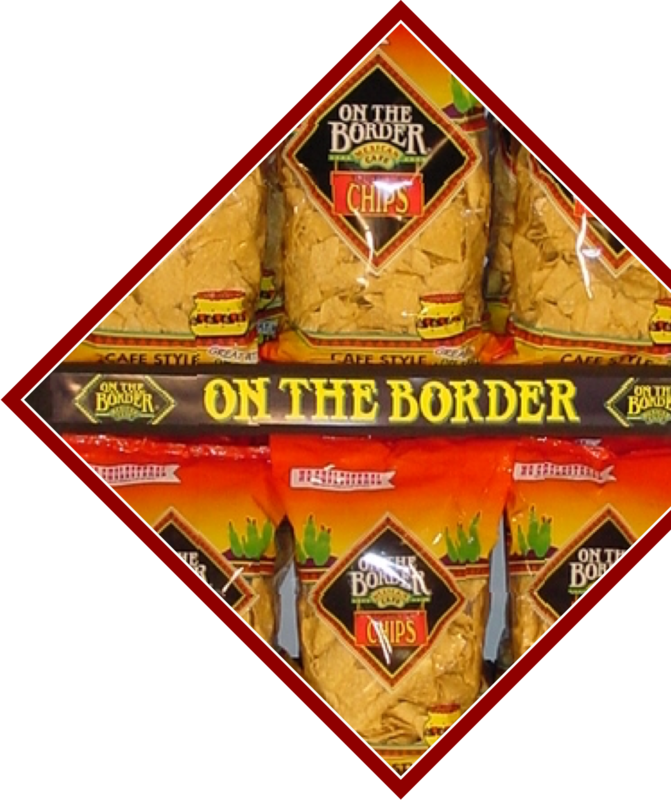 So in 1993, the On The Border retail line was born, which started with margarita mix buckets, but in the next few years expanded into chips and salsas, all inspired by the same authentic approach to slow cooked, restaurant style chips and dips. To this day, we choose every ingredient purposefully and craft each product slowly, with care. Because takin’ it slow is just how we do things around here. So kick back, pop open a bag, and enjoy life’s little moments. We’re proud to be one of the fastest growing national brands of chips and dips in the country and the favorite snacks of millions. It's Better On The Border. It starts with the ingredients. Simple and familiar ingredients with just the right blend of flours and the perfect balance of sea salt, all crafted together to let the corn shine through. We put a lot of thought and time into crafting our products so that when they get to your bag or bowl, you can just kick back, relax and enjoy life On The Border.